Curious to know the difference between a Best Boy and a Gaffer in the movie’s ending credits? 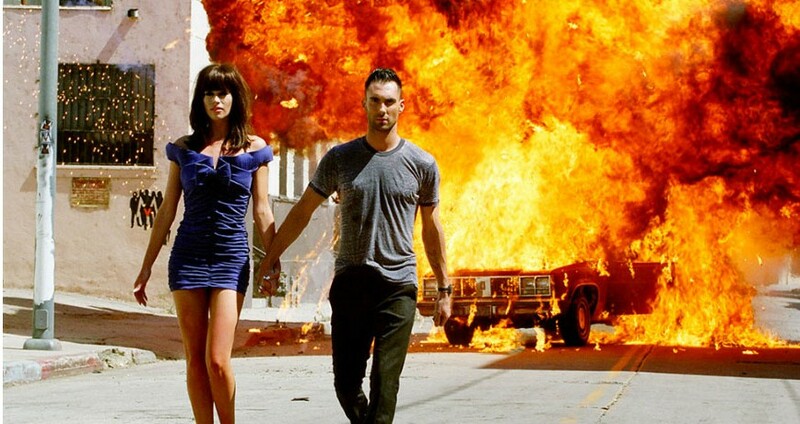 Want to know what a boom operator actually does? Don’t be confused and browse through our film crew glossary below. Learn all about the different crew job positions that occur on a film set! Art Directors – The art director works with the production designer and is responsible for the design and construction of a movie set. They are essentially assistants to the production designer and help construct the “look” and “feel” of the movie. Prop Maker – Prop makers and sculptors construct unique and specialized set props that are too difficult to attain, or too expensive to buy. This person builds these needed props from scratch using various materials that may include styrofoam, plastics, electronics, metals, woods or glass types of materials. This person is usually skilled in a wide variety of machining, construction and sculpting techniques. Prop Master – The prop master acquires, organizes, maintains and accounts for all the various props needed for the production. A prop is basically any set decoration piece that can be moved readily easily. This includes many items like guns, knives, books, phones, dish-ware, food, musical instruments, pets or any other item that needs to be present to fulfill the story line. Scenic Artist / Painter – The scenic artist is in charge of designing and treating all of the set surfaces. This may include painting, plastering, coloring, texturing or applying any other sort of treatment to the set surfaces to create a look. Often times the scenic artist simulates stone, wood, lettering, metallic or brick on the various sets and scenery. Set Construction Coordinator / Builder – The construction coordinator supervises the fabrication and physical integrity of the various sets needed as directed by the production designer and art director. This person is also in charge of budgeting and ordering the needed materials for the set designs. The construction coordinator may also be responsible for hiring the carpenters. Set Decorator / Dresser – The set decorator makes the decisions on what furnishings and other decorations are going to be used on set. This person works closely with the art director and production designer to create the optimal visual environment for filming. This may include various items such as paintings, fabrics, and other non movable decorative set pieces. Storyboard Artist – The storyboard artist creates a series of illustrations and sketches based on the director’s vision during pre-production. Each sketch represents a different camera set-up. These drawings usually include camera angles, characters and set design. The illustrations are then used to assist the other head departments in understanding their tasks. Camera Assistant (1st AC) – The 1st AC is the chief assistant to the camera operator. 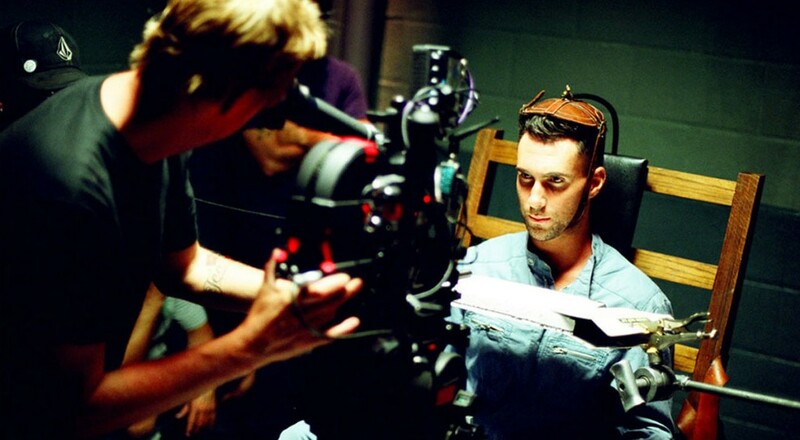 The 1st assistant camera person is in charge of measuring and pulling focus during filming. The 1st AC also threads the film through the camera when a new magazine is loaded. This person also helps setup and build the camera, as well as maintain and clean the camera and lenses. Camera Assistant (2nd AC) – The 2nd AC is also known as the loader. The 2nd assistant camera person is primarily responsible for loading and unloading the new rolls of film into the different magazines, as well as maintaining and filling out all the camera reports for the film lab. This person also runs the slate or clapper to maintain sync and the correct labeling for each and every shot. 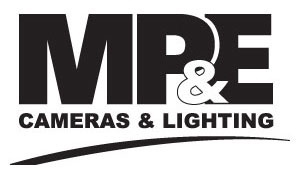 Camera Operator – The camera operator physically controls and operates the camera during filming, under the direction of the D.P. (Director of Photography). The camera operator works closely with both A.C.’s as well. 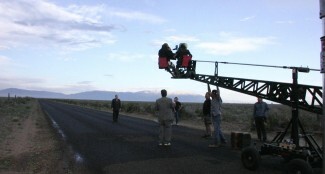 The camera operator controls the shot’s framing, and the camera movements as instructed by the director of photography. Camera Operator (Aerial) – The aerial photographer or camera operator is qualified and equipped to film aboard aerial devices. This usually refers to small airplanes and helicopter filming, but more recently, the use of drone cameras are being widely used as well. Camera Operator (Jib Arm / Crane) – This person is responsible for setting up and operating the mechanical camera crane also known as the “jib arm”. The jib arm is primarily used for large establishing shots that require substantial elevation and smooth motion. Data Wrangling – This is a relatively new job position that has been created in response to the popular use of digital video formats. The data wrangler is usually responsible for organizing, labeling, downloading, duplicating and reformatting the digital storage disks for use on set and the editing room. Digital Imaging Technician – This is another new job position that was created in response to the popular use of high-end digital video formats. The digital imaging technician uses various image manipulation methods to achieve the highest possible image quality during the production. This person usually manages the transferring and storage of the image data as well. Director of Photography – The director of photography (D.P.) is in charge of the overall visual look of the film, as seen through the camera. They recommend which cameras and lenses to use for the production. They design the shot’s framing, and the camera movements in conjunction with the director. They are also in charge of the camera crew, lighting design and collaborating with the gaffer. Photographer / Production Stills – This person takes still photographs and essentially documents the behind-the-scenes making of the production. Often, this person photographs images used for marketing purposes such as movie posters and DVD box art. Steadicam Owner / Operator – The steadicam is a camera mounting device that utilizes a mechanical arm attached to a body harness to provide extremely smooth hand-held shots. The steadicam operator is responsible for setting up and operating the steadicam during production. Most steadicam operators are very physically fit due to the amount of strength and endurance needed to operate the steadicam. Videographer – This person creates the video that essentially documents the behind-the-scenes making of the movie. This video isn’t normally used in the final version of the film. It’s only used for the purposes of documentation. Assistant Food Stylist – The assistant food stylist assists the lead food stylist in the preparations and arrangements of the food. This person usually has an extensive background in cooking, recipe development, and the ability to assist in achieving creative solutions for making the food look the most attractive. Craft Service – Craft Services are the various snacks and beverages that are provided to the film crew throughout the day. This is separate from catering. The person in charge of craft service sets up and maintains a station near production that provides these snacks and beverages. The craft service person is given a budget prior to attaining all the refreshments. Food Stylist – The food stylist will prepare and arrange food in an appealing way to be used in photographs, commercials or movies. This person usually has an extensive background in cooking, recipe development, and the ability to achieve creative solutions for making the food look its most attractive. Best Boy – The best boy is the lead electrician on set and is in charge of all the other electricians, similar to how the key grip is in charge of all the grips. The best boy usually operates, adjusts and balances the electrical load on the generator where required. This person is also responsible for distributing the electrical cabling properly providing the required power to each of the lights. Electrician – The electricians (or juicers) essentially set up and operate all the lighting instruments and cabling as instructed by the best boy or gaffer. This is a physically demanding job due to the large number of heavy lights and cabling often required. 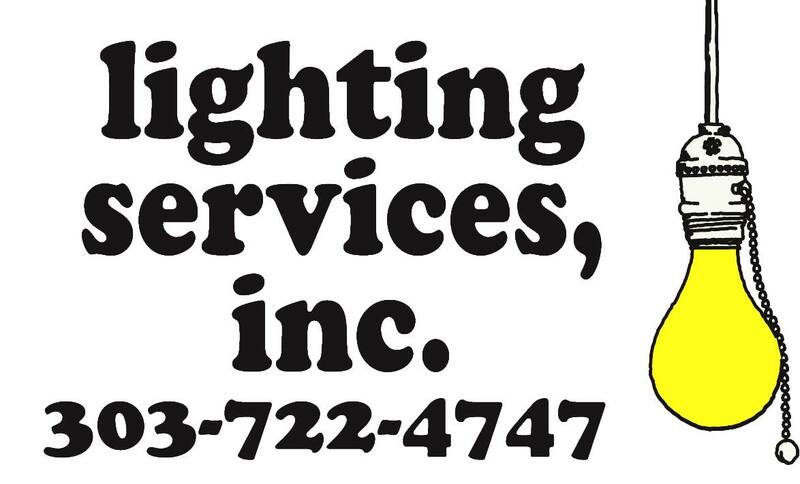 Electricians must be knowledgeable of tungsten and HMI lighting as well as changing and installing bulbs properly. Gaffer – The gaffer is also known as the chief lighting technician. This person is primarily responsible for developing a lighting plan according to the desires of the Director of Photography. The gaffer informs the best boy and key grip on where and which lights are to be placed. The gaffer is in charge of creating the best possible lighting scenario according to the camera framing. Grip – Grips essentially “shape the light” that is provided by the electricians. This includes creating pattern and shadow effects, coloring light, diffusing light or blocking light. While electricians set up the lights and cabling, grips provide everything else that is built around the lights to create the quality of light that the gaffer desires. 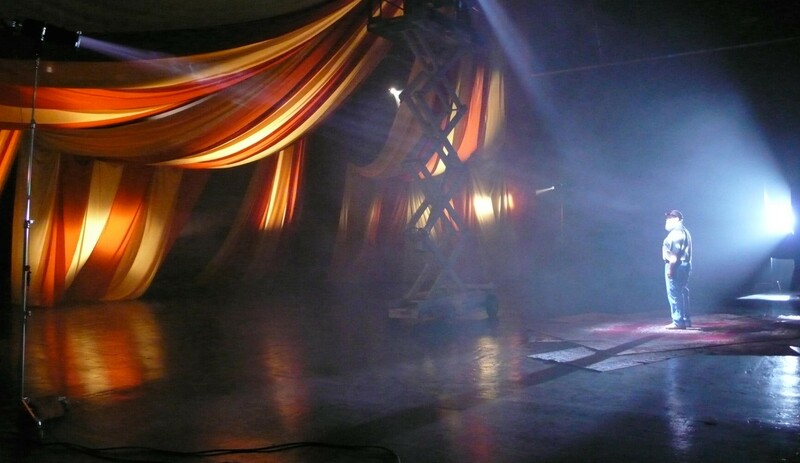 They also provide a variety of special rigging, securing and safety measures on set. Key Grip – The key grip is the lead grip on a film set and in charge of all the other grips. The key grip and best boy collaborate with the gaffer and D.P. to formulate the best tactic for accomplishing a given shot. The key grip oversees the proper camera rigging mechanisms as well as manages the light blocking and diffusing techniques. Location Manager – This person is in charge of attaining all the legal permits and other clearances needed to gain proper permission for filming in a particular location. The location manager also takes care of attaining and processing any other location permit fees as well. 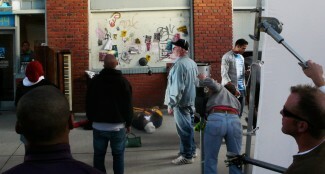 On some smaller shoots, the location manager assists in coordinating the parking of vehicles. Location Scout – Quite often the location scout is one of the first crew members to be contacted on a production. The location scout assists in finding the various filming locations according to the producer and director’s desires. Location scouts often have a large database of location photographs to show before traveling to the actual location for filming. Costume Designer – The costume designer makes decisions on which wardrobes and costumes actors will wear based on the script requirements and character portrayals. Costume designers create or choose various clothing patterns, designs, colors, sizes and accessories for each wardrobe used during production. On larger movies, the costume designer has several assistants helping to organize, disperse and maintain all the costumes used by the cast. Hair Stylist – This person is responsible for styling and maintaining the talent’s hair throughout filming. The hair stylist is usually equipped with all of the appropriate supplies needed for the hair styling process. The hair dresser works in conjunction with the make-up artist to attain the best possible look for the actors and actresses. Makeup Artist – The makeup artist’s main task is to apply and create a variety of looks on the actors and actresses skin surfaces with makeup, from current trends to classic or period pieces. The makeup artist creates a look according to the director’s desires, often inspired by the characterizations in a story. Special FX Makeup – The prosthetics or special effects makeup person uses a variety of techniques for applying and gluing different materials such as latex, gelatin and other colorations which are used on the face or skin of an actor. Gore and blood, burns, creatures and aging special effects are the more commonly used prosthetic makeup techniques. Wardrobe Stylist – The wardrobe stylist works closely with the costume designer, and assists with preparing everything related to the actors clothing, costumes and wardrobe. Common tasks of the wardrobe assistant are maintaining and styling for all the wardrobes worn by the various actors. They also assist in helping to organize, disperse and account for all the costumes used on set. Assistant Director / 1st AD – The 1st assistant director works with both the production manager and the director to make the shooting schedule efficient as possible. The 1st A.D. breaks the script down into a shooting schedule and also helps manage the scheduling of talent, crew and equipment needed for each shooting day. This person sometimes helps direct the background extras in a scene. Assistant Director / 2nd AD – The 2nd A.D. works directly with the 1st A.D. to accomplish their duties. The call sheets for each shooting day are created by the 2nd assistant director. The 2nd A.D. also helps manage the scheduling of talent, crew and equipment that is needed for each day. This person also assists in directing the background extras in a movie scene. Director – The director is the leading creative artist on a movie set. The director works directly with the actors on their performances and has final creative control on almost every aspect of the the film. The director plays a large role in casting, script revisions, shot composing and even editing. Usually, the director is hired by the producer of the film. Line Producer – The line producer supervises the entire budget of the movie. Expenses may include celebrity salaries as well as daily costs like location and equipment rentals. The production manager reports to the line producer the current expenses and needs of the production on an ongoing basis. Producer – The producer helps organize the entire production. This person helps develop the script into a workable project. 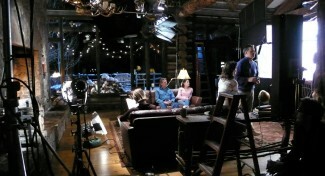 They assist with the hiring of actors and key crew members, while keeping track of finances throughout the production. The producer oversees script progress and often assists in creating final distribution plans for the movie. Production Assistant – Many individuals start their careers in the film industry as a production assistant. A production assistant usually does any general duty or minor task that the production heads may need. Basic duties may include dispersing walkie-talkies, setting up pop-up tents and tables, running basic errands as needed or attaining any other last-minute item that the production might need. It is essential that the P.A. has their own transportation to perform these various errands. Production Coordinator – A production coordinator is responsible for coordinating the “behind the scenes” logistics, which can include renting equipment, hiring crew members, and coordinating talent. In addition, this crew member may handle the paperwork needed to organize the production. For this reason, the production coordinator is an important crew member in ensuring a production’s goals are on budget and on time. Production Designer – The production designer works with the director and is primarily responsible for the design and overall visual “look” and “feel” of a movie. This includes the use of costumes, landscapes, props and other visual scenery that could reflect the movie script. 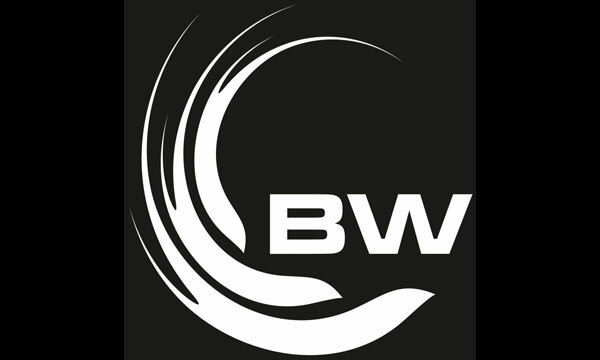 Production Manager – The production manager works closely with the production coordinator. This person helps supervise the organization and distribution of the production budget, crew & equipment scheduling, salaries, day rates, and other office related paperwork. This person reports budget needs to the line producer, while trying to keep the production under budget on a day to day basis. Production Secretary – The production secretary is the assistant to the production manager. This person assists with the paperwork for the crew & equipment scheduling, timecards & invoicing, crew deal memo’s and other related office materials. The production secretary usually helps complete most of the paperwork needed to properly finish the production. Script Supervisor / Continuity – The script supervisor works closely with the director by taking detailed notes concerning what has been shot, needs to be shot, and also notes any deviations from take to take. He/she also makes sure that the dialogue corresponds with the script. The script supervisor also takes logging notes that are essential in the post production editing process, such as locating shots and finding the best takes. Many times the script supervisor assumes the role of continuity, ensuring the consistency between scenes and shots. Teleprompter Operator – The teleprompter is a device that mounts to the front of the camera and contains a scrolling text for the actor to read while looking into the lens. This technique is also used by newscasters. The teleprompter operator helps set up the teleprompter on the camera as well as the computer that provides the scrolling text program. This person is usually given the script ahead of time so that they can enter it into their computer before arriving on set. Video Assist Operator – The video assist person operates the VTR (Video Tape Recorder) during production. Most film cameras include a video tap that allows the VTR to record and instantly playback what was just filmed. Since you can’t review 35mm film without it getting processed in the laboratory first, this can be an especially useful tool on set. Video assist is the term used to describe this record and playback process. Reviewing the footage instantly allows the director to confirm performances, camera focus, framing, choreography and other elements for accuracy. Boom Operator / Utility – This person is responsible for properly positioning the microphone boom pole during the actual filming. The boom operator is the assistant to the sound mixer. Many times the boom operator is required to hold the boom pole for several minutes at a time, which can be physically demanding. The boom operator must also be able to follow the actors movements while staying clear of the camera and lights. This makes it a challenging job for achieving the best possible audio. Sound Mixer – The sound mixer for film is head of the sound department and is responsible for leveling, monitoring and recording of audio during production. The sound mixer decides which microphones to use as well as placements of the microphones. This person can also mix the various sound tracks and audio signals in real time. 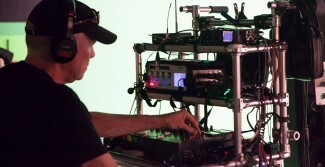 A film sound mixer supervises the boom operator and/or sound utility person. Pyro Technician / Explosives – Sometimes also known as the armorer, this person is primarily responsible for the handling, maintenance and care of all firearms, weapons and pyrotechnics that are used during filming. This includes all live-action explosives and and battle scene pyro effects. Pyro technicians are usually trained and certified to handle these dangerous props and explosives. Special Effects Coordinator – The special effects coordinator designs and supervises the various effects needed for filming through the use of mechanical and/or optical illusion techniques. The special effects coordinator provides the visual elements needed such as recreating weather elements or assisting with props that break, shatter, collapse, burn, smoke or explode. They also provide the special mechanical rigging that allows you to fly an actor. Special Effects Technician – A special effects technician works under the special effects coordinator and assists in physically creating the visual elements needed like weather elements, or assisting with props that break, shatter, collapse, burn, smoke or explode. They also help build the special mechanical rigging that allows you to fly an actor. Stunt Coordinator – The stunt coordinator manages and coordinates all the dangerous action sequences in a movie that require a stuntman or stunt performer. The stunt coordinator always follows the appropriate safety regulations during filming to ensure the safety of every stunt performer. Types of stunts may include jumping, flipping, diving, free-falling, crashing cars, catching fire, underwater stunts and other dangerous action sequences where stunt doubles are needed. Captains / Gang Boss – The transportation coordinator, or gang boss, organizes and provides a variety of vehicles and transportation for all crew, equipment and actors to and from the filming locations. The transportation coordinator/captain deploys the appropriate vehicles and drivers at the proper times to keep the production on schedule and on budget. They also work closely with the locations manager in attaining the proper parking permits and parking locations for all vehicles. Transportation Driver – The transportation driver works under the supervision of the transportation captain. Transportation drivers physically drive and operate all provided production vehicles to and from the filming locations. This includes the transport of all crew, equipment and actors safely to and from the film set while staying on schedule. 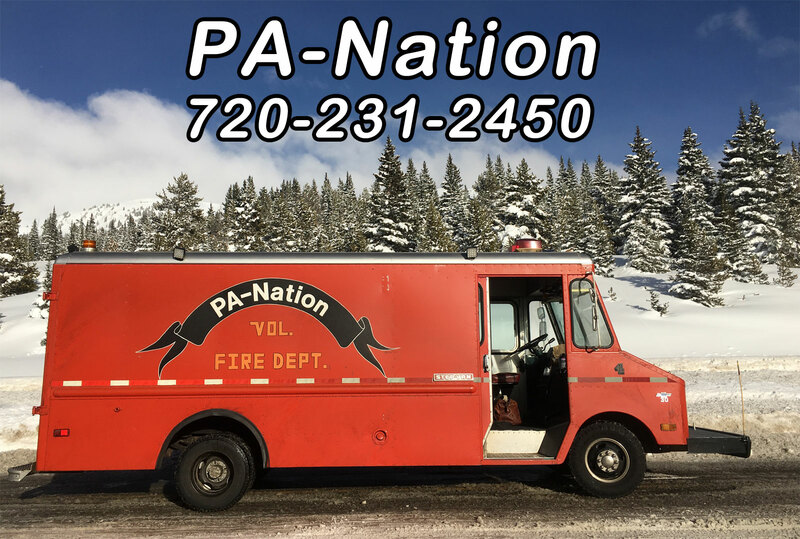 Types of production vehicles may include cube trucks, passenger vans, stake beds, flatbeds, limos, cars or any other needed production vehicle.